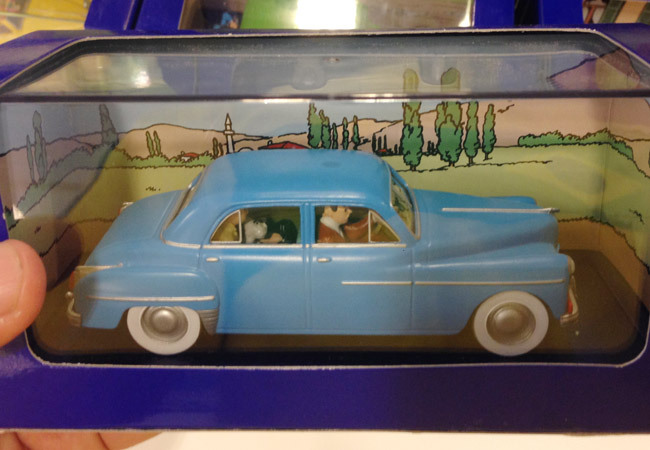 If you're either a fan of The Adventures of Tintin or a mere collector of toy cars--or both--you should know that Fully Booked in Bonifacio High Street has opened a Tintin Shop, which sells merchandise dedicated to the popular comic character. 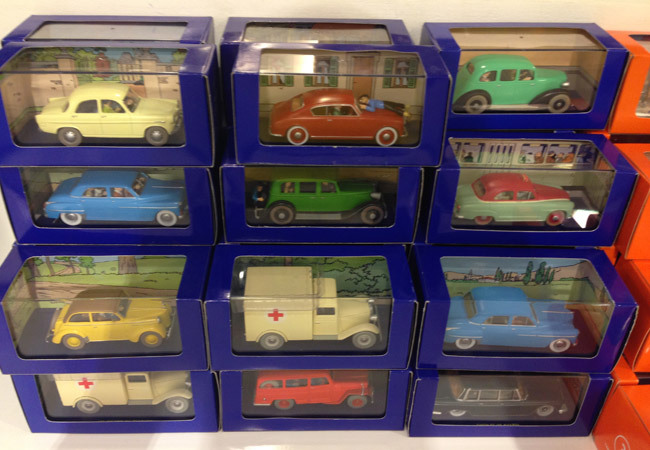 Among the items sold there are these toy cars you see here. 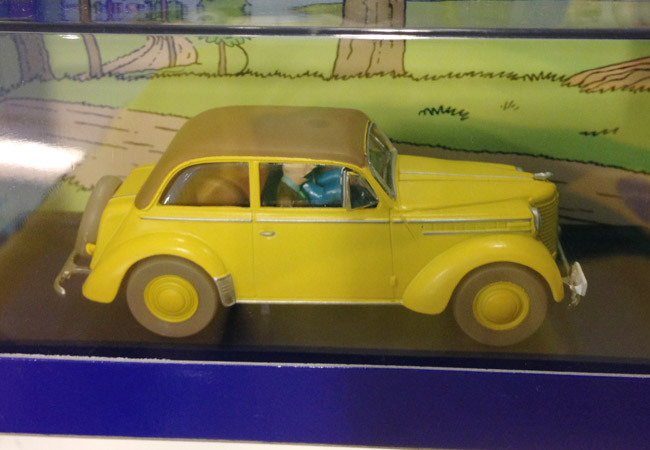 These are the cars that appeared in the Tintin stories. 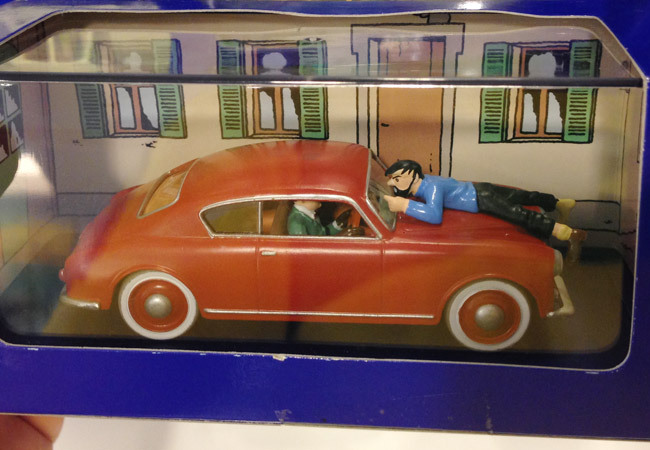 Because Tintin was a Belgian reporter, he did a lot of traveling, and cars were a regular fixture in the series. 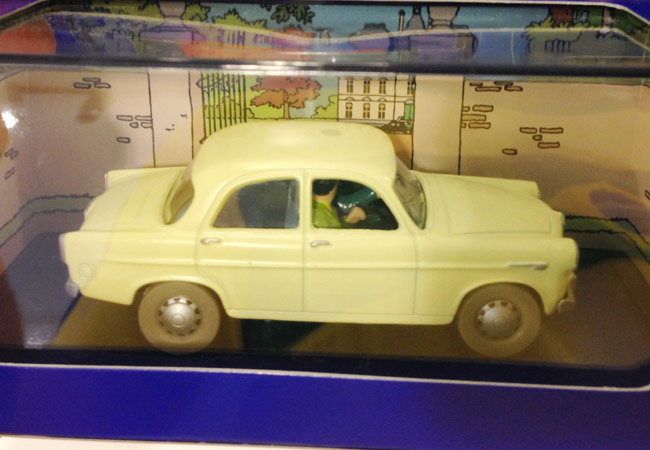 The automobiles included the likes of the 1935 Graham Six, the 1938 Opel Olympia, the 1949 Dodge Coronet, the 1950 Willys-Overland Jeep Wagon, the 1953 Lancia Aurelia, the 1954 Simca Aronde, and the 1960 Alfa Romeo Giulietta Berlina, among others. 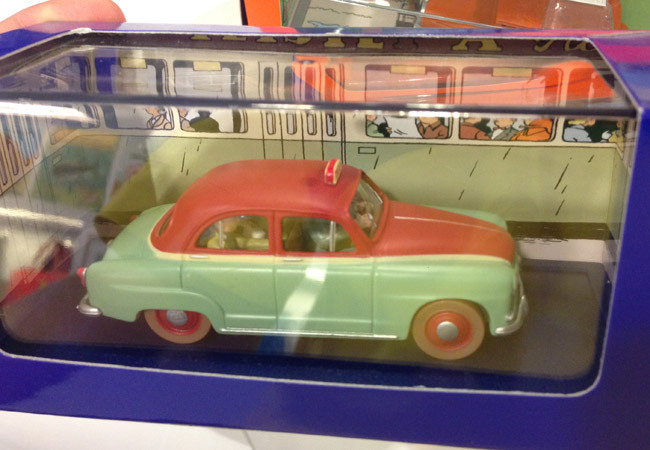 Why such old cars? Because the comic series was published from 1929 to 1976. 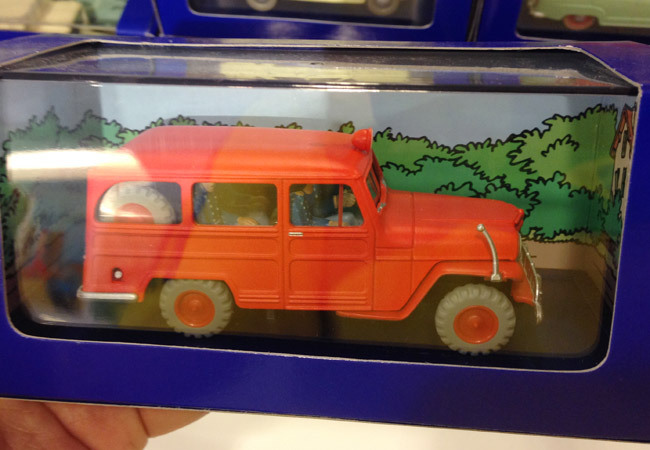 These toy cars aren't made of die-cast metal; instead, they're made of what looks like some plastic-ceramic material (like a matte-surfaced figurine). 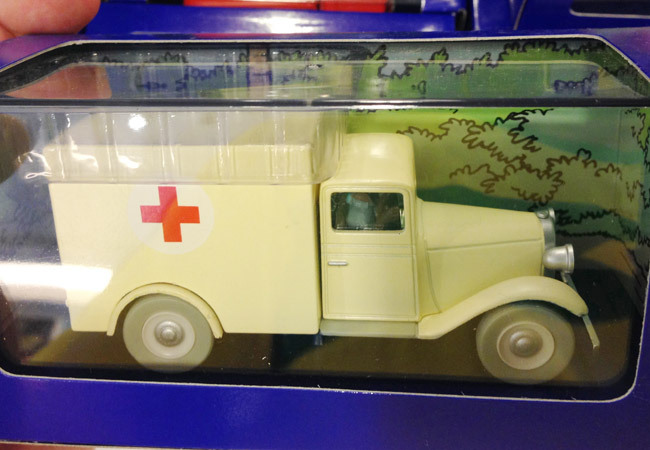 No scale is indicated on the packaging, but we estimate it to be around 1/43 in scale. 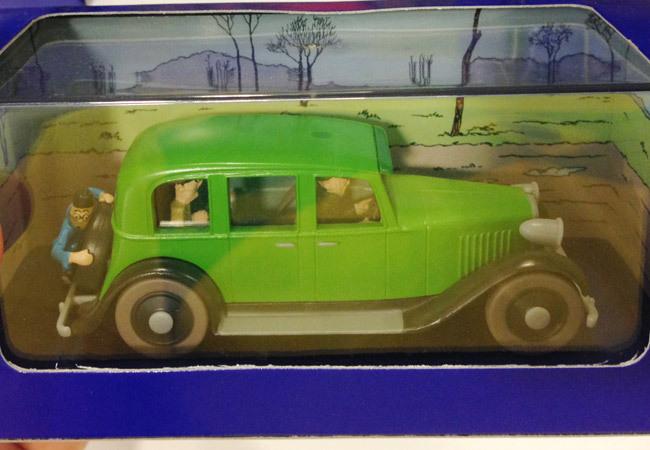 The exact story, year and page number(s) in which the cars appeared are printed on the side of the box. 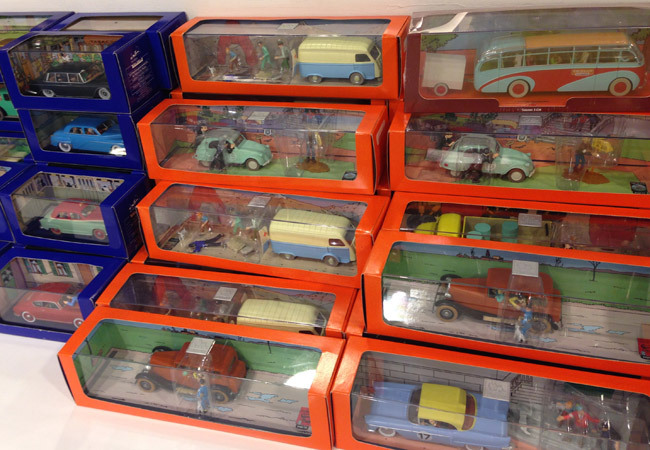 The toy cars in the photo above (and in the individual pictures below) sell for P1,199 each. The others of different scales and with different packaging are more expensive. 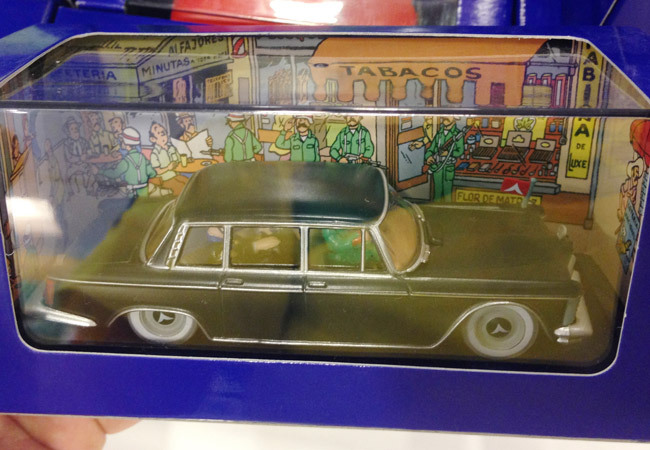 This Tintin Shop was opened on May 3 and is now apparently a permanent section of Fully Booked BHS. Check it out if you're into stuff like these.